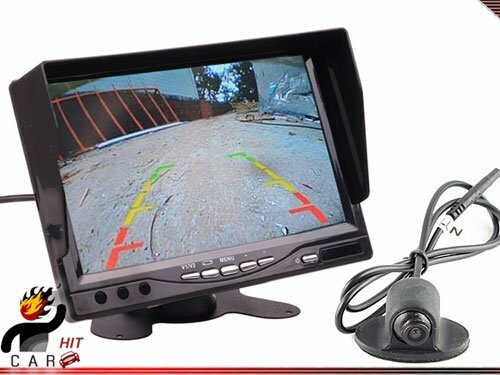 Rearview 2x wireless cameras with 7" LCD display. 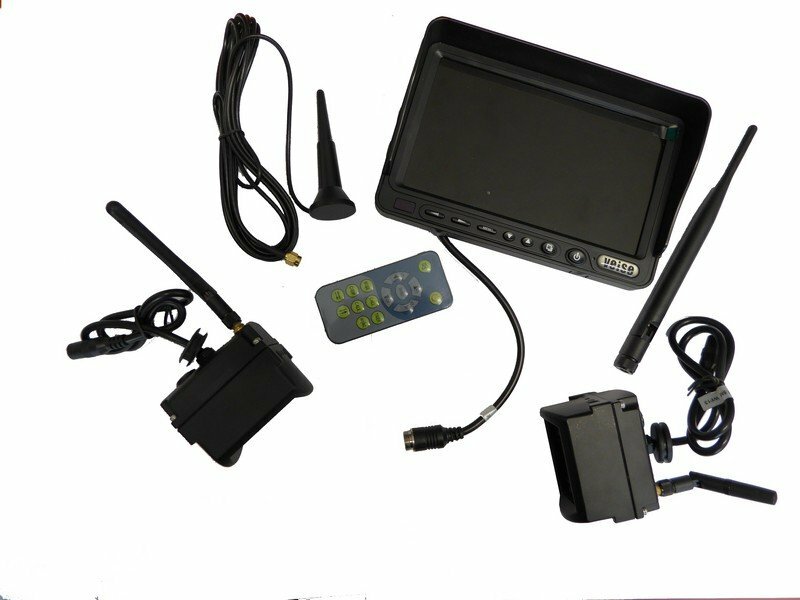 Parking set ensures the safe parking without having problems of damaging the vehicle. 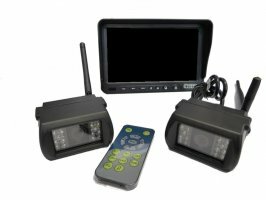 Set includes 2 parking cameras designed to work in demanding environments. The image from the cameras is played in the cabin on the 7" LCD monitor. 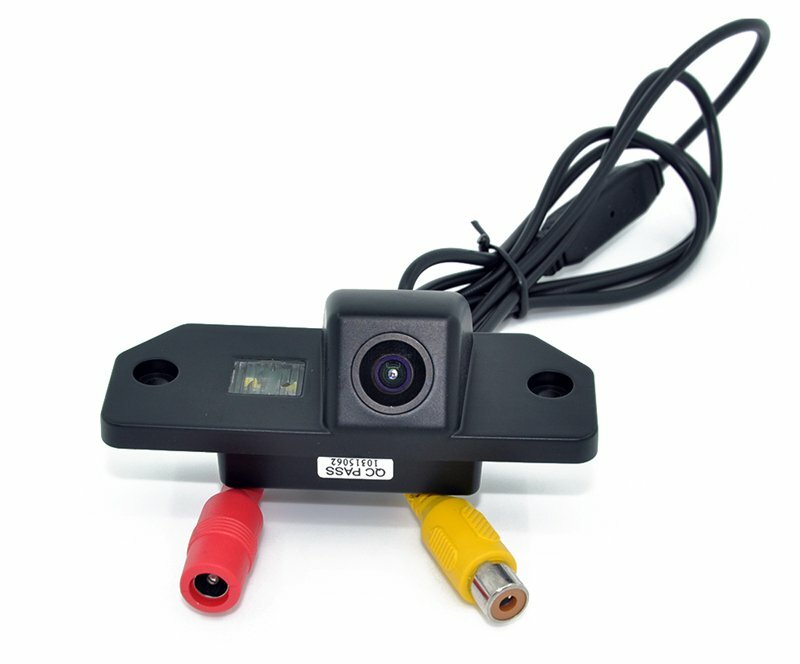 Installation of the system is simple and will not take much time. This complete reversing set will really facilitate parking, it disposes with a camera with a wide angle image 115° and 18 powerful IR night LEDs with which you will easily see at night. 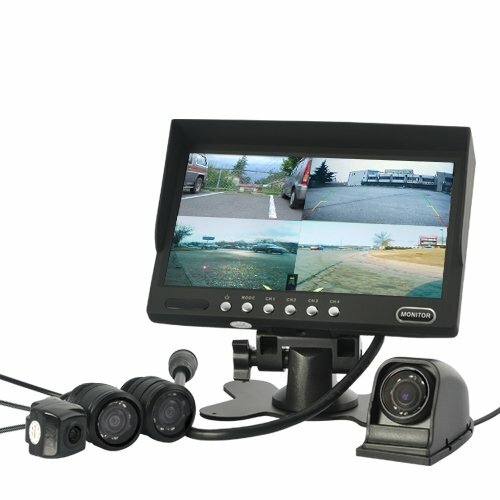 This camera reversing set can also be used in freight transport (trucks, buses).